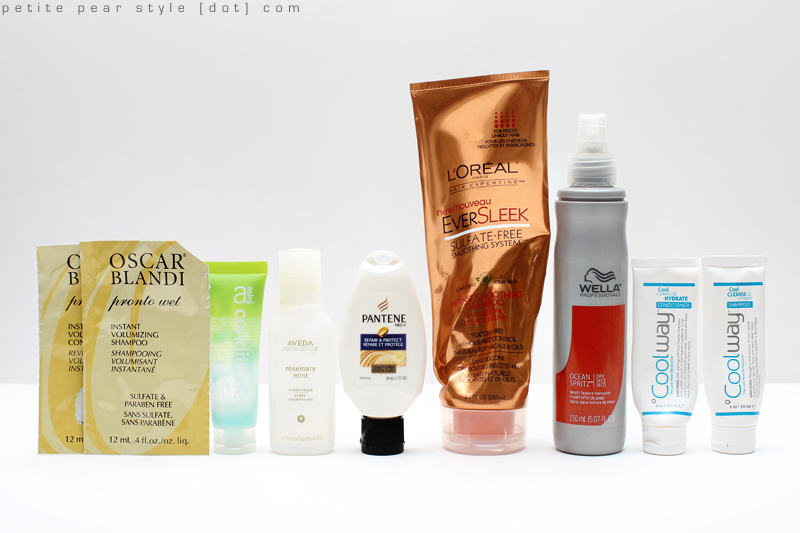 Thoughts: It looks like these products got great reviews, but they didn't really do anything for my hair. While I only had enough for 2 uses, I won't be purchasing the full size. One thing I did love about the shampoo was the scent... I think it smells like lemons? Thoughts: This conditioner was alright - it was nothing too exciting, but I did like the scent. Thoughts: Again, nothing too exciting... this time, I didn't really like the scent though! Thoughts: Another Asira product! Not a fan of these... I hope I'm nearing the end of our stash. Thoughts: I found this under the bathroom sink so hubs must have purchased it when it was on sale. It was ok, but I will not be looking out for this at the drug store. Thoughts: I love this product! I don't really like the feeling of salt spray in my hair when it's down so I use this product when I want my hair to stay in a sock bun all day - it gives my hair so much texture and stickiness that my sock bun literally holds for 2+ days. Thoughts: This is one of my favourite bar soaps! It smells refreshingly minty, lathers nicely, does a great job cleansing my skin, and lasts a long time. Thoughts: I enjoyed this bar soap but preferred the variety in the blue box due to the scent. Even still, the packaging (and soap itself) is so cute! Thoughts: I love the Aveeno body washes, but this is not one of my favourite formulations. It is a lot thicker and goopier than the other Aveeno body washes (likely due to the starchiness of the rice?) and the scent is just ok. Thoughts: I have KP on my upper arms, but there is not enough product in these samples to determine whether there was any improvement. I absolutely hated the serum... it was stinky and sticky. The cream was ok (very thick), but I think my overall opinion was already tainted by the serum so I didn't like it either. Thoughts: I thought this creme was ok, but I don't remember much about it. The sample pack is tiny so I think I only had enough for one use. One of my YouTube viewers recommended I try this again as she found it did wonders for her hands. I think I have some more samples in my stash so I will definitely have to pull them out and give this hand cream another try. Thoughts: This is one of my favourite formulations when it comes to a lip balms. I prefer the clear Baby Lips to the tinted ones. The quenched variation is my favourite, but I also love peppermint. Thoughts: I love the Sula lip glosses, but I hate the packaging. The design itself is pretty... but the tube leaks! I used to find the oils from the gloss all over my makeup bag and other makeup products... I was mystified about the source until I realized it was my beloved Sula lip gloss. I now keep these lip glosses at home - always stored upright. I still love the formulation, the texture, the scent (cherry blasters), and the shades. This particular tube actually started to split so it was time to say goodbye. It was nearly finished anyway... these glosses are extremely easy to use up as they only contain 2.65 grams of product. Thoughts: Hooray! I finished an eyeshadow! Up to this point, I think I've only finished 3 or 4 eyeshadows in my entire life. I loved the formulation of this eyeshadow and Birthday Suit was the perfect all over lid colour for me. I'd like to purchase a full size of this, but it looks like Brazen is still reformulating its eyeshadows so there's nothing available on the website... plus I have tons of eyeshadow I still need to use up so I really shouldn't be adding to my collection. Thoughts: These blotting sheets are a staple in my makeup bag and I've repurchased them again and again. Thoughts: I liked these facial cleansing pads. Oddly enough, they irritated my skin when I first started using them in Aruba so I stopped using them for a while. I recently picked them up again to finish the pack and even used them on my eyes, but there was no further irritation. Thoughts: I liked these facial cleansing pads. Oddly enough, they irritated my skin when I first started using them while I was on vacation so I stopped using them. 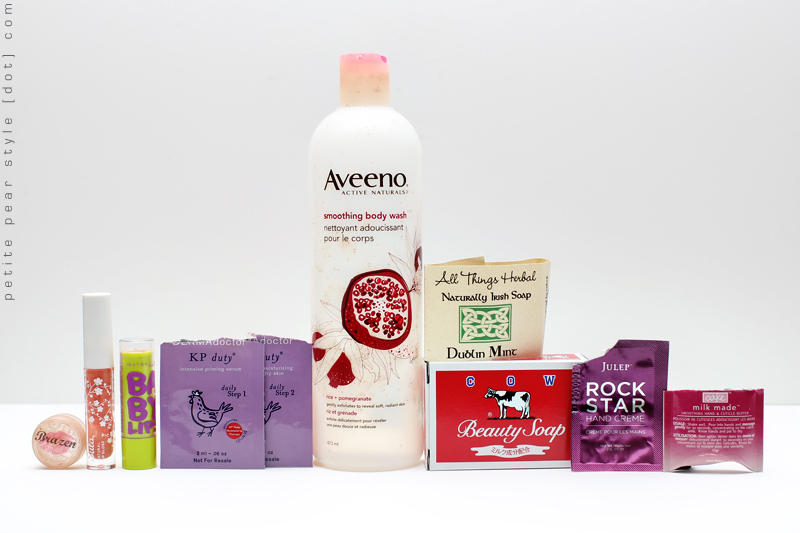 I recently picked them up again to finish the pack and even used them on my eyes, but there was no further irritation. 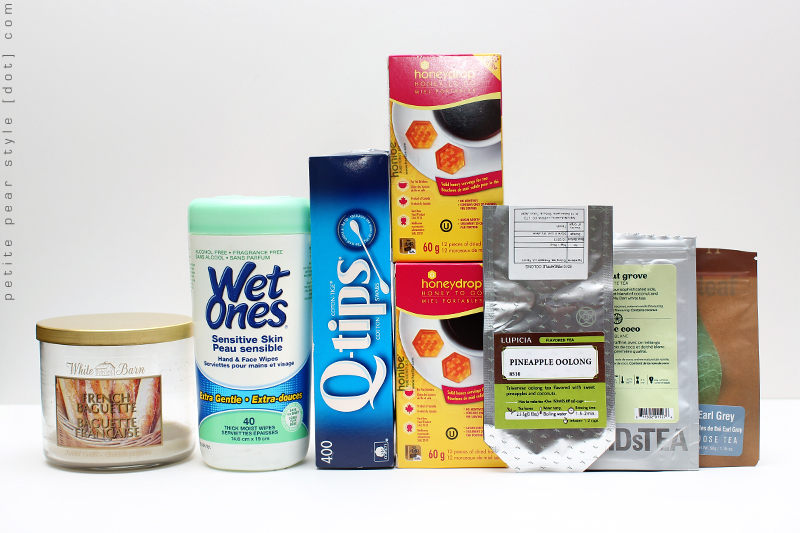 Thoughts: I enjoyed trying these antiperspirant wipes and they do work, but I prefer my natural deodorants so I will likely not be purchasing the wipes. 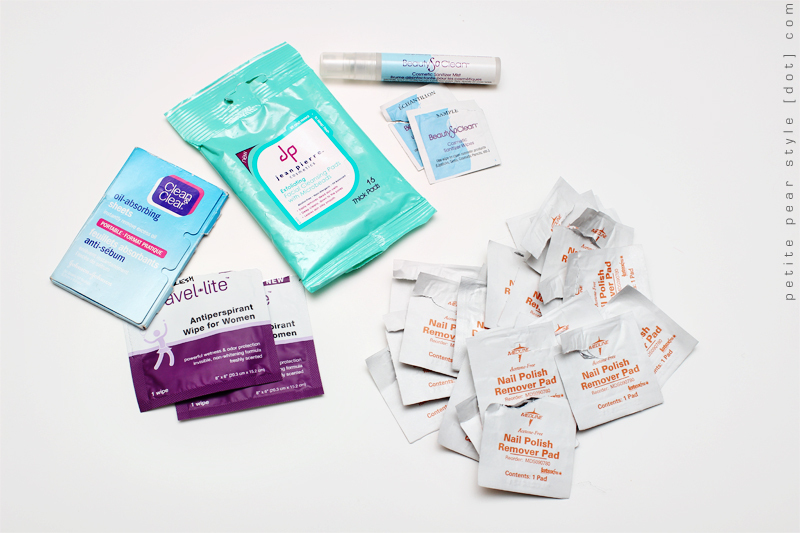 Thoughts: These cosmetic sanitizer wipes are really handy! I used these to clean the vintage earrings I purchased at the Randolph Street Market in Chicago. I might purchase these once I run out but I'm not 100% sure yet as I think alcohol wipes would be just as effective and likely a fraction of the cost. Thoughts: I received this sample of the sanitizer mist in my very first Glossybox. Similar to the wipes, I find this product extremely useful. I regularly spray my powder cosmetics with this sanitizer now. I also like using the mist on my Clarisonic brush head. Thoughts: Nothing too exciting, but I finished a 400-count box of Q-Tips. I do like this brand of cotton swabs the best... the dollar store or drug store branded ones occasionally hurt my ears because there's not as much cotton on the tips. Thoughts: Looks like this scent is no longer available... I should have stocked up! Thoughts: I thought I would really like this product when I first tried it, but now that I've used up 2 boxes, I know this product isn't for me. The honey tablets take a long time to dissolve (at least 5 minutes) and I started to detect a slight caramelized flavour (which left my tea with a slight burnt taste). Thoughts: I liked that this tea had a strong Earl Grey flavour. I would likely repurchase this but after I finish my cupboard full of tea. Thoughts: I really really enjoyed this tea. The only reason I knocked off a star is because I'm not sure if this tea includes natural or artificial flavours (or both). I e-mailed Lupicia but never received a response. I will follow up. Thoughts: I enjoyed trying this tea but likely won't purchase it since it includes artificial flavours. And that's it for my July empties! :) How did you do this month? awesome job with the empties (and I am shocked to see this post up so soon haha, I guess you weren't kidding!) I can't believe you used up 22 of those nail polish removers, that's ridiculously ineffective. I didn't finish as many products this month but hopefully august is better since I won't be on vacation. I have a hard time finishing shampoo and I just bought a 1 L bottle of shampoo and a 1 L bottle of conditioner so yeah, that doesn't help (but it smells like MANGO). I only started buying shampoo recently but have a decent stockpile now that I've bought these 1 L containers so I definitely need to stay away from it for a bit. I am so sucked in by good deals! hehe, i was trying to be good... i'm glad you noticed the effort!! :) i've heard great things about the julep hand scrub... i may have to pick one up soon! i still haven't purchased the full size of the cake buffer, but i keep thinking about it so i should just bite the bullet and go for it! I love that you started this off with "not too many this month", there was LOTS! I love reading these, since I'm working down my stockpiled stuff as well, I'll know what to skip. what, you have a new blog?! you've been holding out on me... i'm going to read it from start to finish hehe. Pineapple oolong tea sounds interesting... I've never had a pineapple tea before.